Jared Martin an American film and television actor died May 24th. He was 75. 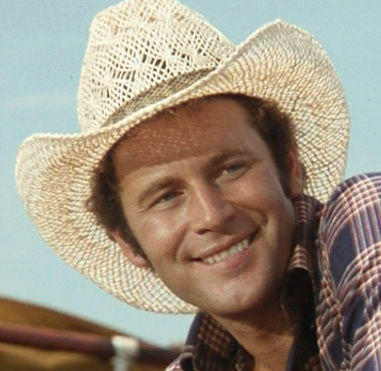 Jared is best known for his role as Steven "Dusty" Farlow in Dallas. Born on December 21, 1941 in Manhattan to Charles E. Martin, a cover artist and cartoonist for The New Yorker, and his wife, Florence Taylor, an artist and homemaker, Jared began acting at the age of ten in a local children's theater group. After graduating from the Putney School and Columbia University, where his roommate was Brian DePalma. He spent a summer apprenticing with Joseph Papp's Shakespeare in the Park. After graduating, he worked for a couple of years at The New York Times as a copy boy and thumbnail book reviewer for the Sunday edition. He quit and joined a summer stock company in Cape May, New Jersey; then spent a season with Boston Classical Repertory, and eventually rejoined Papp at his new Public Theater in Manhattan. In 1965 he co-founded Group 6 Productions, a New York film and stage production company for which he directed A Night on the Town. In 1966 he played the lead role in his former roommate DePalma's first feature film, Murder à la Mod. He continued acting off-Broadway and made an unreleased film that caught the eye of a casting director at Columbia Pictures. Martin may be best-known as Steven "Dusty" Farlow on Dallas. He later alternated between living in Rome and New York where he studied with Lee Strasberg. He performed in Broadway's Torch Song Trilogy. In 1988 he relocated to Toronto to star in The War of the Worlds (W.O.W.) as Dr. Harrison Blackwood. After W.O.W. was canceled in 1991 he spent the next 18 months traveling, writing, and working on photography. In 1994, entrepreneur Jeffrey Seder asked Martin to direct In Deeper, a feature length docudrama that celebrated crime-fighting local citizens, as part of then-Mayor Ed Rendell's Heroes of the Streets campaign in Philadelphia. Martin co-founded the independent film production company Lost Dog Productions which produced films for social service and cultural nonprofits, including Smarty Jones - A Pennsylvania Champion and hosted Philly Live, an interview talk show series. From 2004-07, he was Senior Lecturer at the University of the Arts in Philadelphia where he taught acting and directing. Born: 12/21/1941, Manhattan, New York, U.S.A.